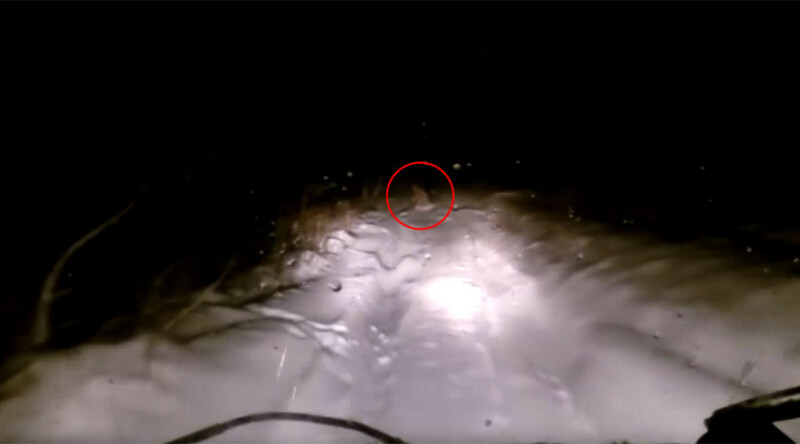 A group of friends traveling by car at night through Russia's Republic of Bashkortostan near the Urals filmed what they claim was a sighting of an abominable snowman. The figure running across a snowed-in road was filmed by the car's dashcam. But was it a prank or a real Yeti? A nature-seeking tourist from the nearby town of Uchali was traveling by car at night when he and his friends spotted something that looked like an animal, but moved like a human. “I mean it could have been someone’s cruel prank. But on the other hand, who else could dash out so quickly in the middle of the night? In the middle of nowhere,” the driver, Vadim Gilmanov, told local TV. Although there is no proof that Bigfoot exists, the myth lives on with regular alleged sightings registered from all over the world. The folklore of this particular region of Russia, the Republic of Bashkortostan, tells stories of Shurale, a tall hairy creature that tickles his victims to death. In 2004, KP daily reported about multiple sightings of a Yeti in the same part of Russia. As recently as September, CarbonTV published what they say was Bigfoot, captured on a Live Eagle Cam.